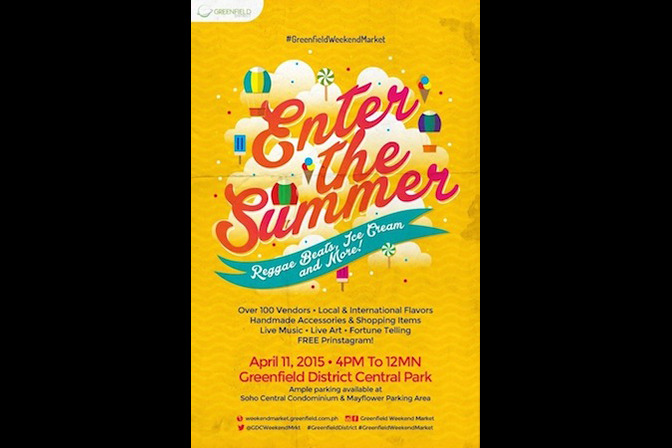 Greenfield Weekend Market: Enter the Summer! Reggae Beats, Ice Cream and more! Head over to Greenfield Weekend Market for a grand summer welcome party! Over 100 vendors, Local and International Flavors, Handmade Accessories and Shopping Items, Live Music and Art, Fortune Telling, and FREE Prinstagram!